Since 1976, DESCCO has been the top choice of business owners and design teams for cleanroom design and construction projects. We work with you early in the planning stages to offer guidance on planning, design and execution of the clean rooms project. As your cleanroom contractor, we will take charge of coordinating the project from beginning to end, and we pride ourselves not only on quality work, but quality communication. Whether working directly with you, your architect or engineer, we bring practical design experience to your clean room design and construction project. Our experienced cleanroom team knows what looks good but even more importantly, what will work best for the design, construction or renovation of your clean room. Paying close attention to the complexity that each individual project requires, we focus not only on the big picture, but also each small detail to ensure that all aspects of your project are being handled appropriately. Our wide range of cleanroom design and construction services involve the highest quality materials and products. Whether it be construction or renovation of a cleanroom, DESCCO employs a skilled team and utilizes the latest technologies to complete even the most elaborate clean-room projects on-schedule and on-budget. Meet DESCCO Design and Construction Team! When Dwight E. Stoltzfus founded DESCCO in 1976, it was his hope to imprint a standard of quality on the building trades that would last for many generations. Today, that standard endures through the design, construction and renovation work that DESCCO performs. 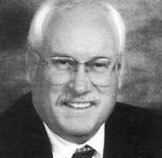 With Dwight’s passing in 2004, the torch was passed to the next Stoltzfus generation along with the loyal and dedicated staff who have worked with Dwight over the years. In today’s fiercely competitive environment, DESCCO is truly a hybrid, excelling in situations that require unusual attention, patience and nurturing. DESCCO builds for reasons that surpass our own immediate goals, and we bring foresight, integrity, and longevity to our work. Got a design, construction or renovation project? Contact DESCCO Design and Construction Today!